Hearing... birds! I've been waking up to birds again, and I love it. Pondering... Wyatt is having a difficult day. He still gets up at 3am to call in to UPS, though he's not getting any work. He expected to be officially laid off today (but is encouraged to reapply in April). Over the weekend pieces of his braces broke so he started this morning at the orthodontist (after partially disassembling them at home, himself so he wouldn't get poked and could close his mouth). The appointment went longer than he expected, making him late to school. And he wasn't thinking clearly... came home after the appointment (the opposite direction of school) to get some ibuprofen, not realizing he likely could have bought some on campus. And it's his long day... I think I'd better plan some soft comfort food for dinner tonight! Praying... for Wyatt! And work for Kerry. Thankful... for this gorgeous day, that my parents are home safe from a two-week road trip, that Wyatt successfully registered for next quarter, we're all still healthy, and for good news from friends who are in the process of adopting! Wearing... my walking grubs... time for a shower. Going... to make sure Gunnar is doing his schoolwork. In the kitchen... leftovers! I made a big batch of venison meatballs last night, alongside roasted potatoes. 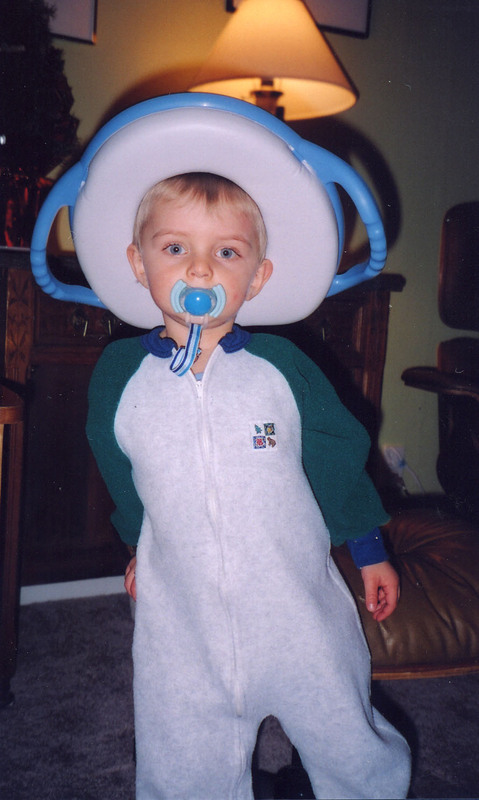 But I'd better think of something really soft for Wyatt. In the learning rooms... Tate, just home from school and working on his homeschool. He just dissected a giant earthworm. Ack. Gunnar is doing math with percents. Around the house... brightness, hallelujah. I love the sun streaming in the windows. We have so many dark, wet, cloudy days through the winter that I crave the light. I have a lot of brightly colored things out - pillows, candles, quilt, etc. The Mother Load... not too bad at that moment, but I still have a pile of papers to sort. Noticing that... everything is budding, ready to pop open with new life. Something to remember for later... I gave Gunnar a cup of hot cocoa after a cold, early morning walk, and he said, "My chest is on fire!" Um, maybe your stomach? Something fun to share... Ice Music. The fact that I am a woman does not make me a different kind of Christian, but the fact that I am a Christian makes me a different kind of woman. One of my favorite things... Gunnar is doing better at doing his math on his own. A few plans for the rest of the week... hmmm, rehearsal tonight, violin lesson and babysitting (Gunnar) tomorrow along with CAP, the youth group here for dinner and fellowship on Wednesday evening, piano lesson (Tate) on Thursday, hymn sing / dessert social Thursday evening, and the weekend??? Cleaning out my office I found some old notes from when I had my tonsils out in 2008. The boys would've been this age - I think 7, 9, and 12. So (back in 2008), I was recovering and feeling pretty rotten. Kerry was stressed and snapping at the kids. It was pouring and they were stuck inside all day, having too much screen time and not enough fresh air. I wish I could say a bad word right now. Outside my window... sunshine! Brightness! Color! Hearing... a very, very quiet house. It's Presidents' Day today, no school for any of us. The boys went for a bike ride earlier (kind of muddy, but good for them) and Gunnar and I went for our longer walk. And you know what we saw? Pondering... I'm getting RSVPs for my parents' 50th party - so glad people are excited about celebrating with us :D My mom kind of didn't want a party, but I think marriages that flourish for 50 years, ought to be celebrated publicly. If your parents (or friends or relatives) have long-thriving marriages, THANK THEM. Praying... for our friends in missions in Myanmar and in the Solomon Islands and elsewhere. Isn't the internet amazing? I can remember when I was a kid (you know, back when dinosaurs roamed the earth) and you had to wait weeks or months to hear from missionaries. Thankful... for technology (like email and Tate's CIs and low-tech crock-pots), that work seems to keep trickling in for Kerry (more please, Lord! ), and for the brightness of today. Wearing... jeans, long-sleeve black t-shirt, black cardigan... so exciting. Creating... I've used the day off to get ahead with preparing for my Sunday school class. I may have mentioned the age spread in my little class (3 to 8). The curriculum I have is fine for the 6-8 year olds, but I have several kids who aren't readers yet so I'm always adapting the activities. Or finding new ones. Looking forward to... well, hoping for a tax refund! In the kitchen... made a huge batch (6-quart crock-pot) of stroganoff yesterday - part beef and part venison. Used the second roast from Tate's deer, and oh that meat was beautiful (hardly a speck of fat on it) and oh-so-tasty. Enough for leftovers tonight - hurray! In the learning rooms... just wrapping up a wonderful four-day weekend. LOVE IT. Gunnar currently has three experiments going that we are monitoring. He'll be studying the human body for the rest of the year in science. He's been doing a two-year overview of world history while Tate is doing a one-year overview, and I think they're just about coinciding right now. That's a good thing, but I get a bit scrambled sometimes about who is doing what! Tate is such a diligent worker. He's already finished one of his subjects for the year, and all of the extra reading I assigned him to go along with Biology. Gunnar rarely wants to work ahead, but he stays on top of things... even when he's not particularly enjoying them... like reading Great Expectations. In his opinion, it would make a great story in about a quarter of the pages. I hear ya. Around the house... more open spaces and surfaces - aahhhhh :D And primroses, because they're the hope of spring to come. And speaking of spring... the ducks were going NUTS as we passed the pond on our walk this morning. Males, chasing each other around. Yep. It's spring. * inventory the cupboards and make a plan - so much food! * and more, more, more. Sigh. but they will always live what they believe. One of my favorite things... Kerry and Gunnar found me some Lindor milk chocolate and sea salt truffles for Valentine's Day... thanks! ... spent a few hours today getting our tax stuff all together. At least the part that's my responsibility. Of course, that involves getting caught up on tracking our checking account and making sure I have a paper trail in case we ever need to prove anything. Ugh. But what a huge load off my back - yippee! And as I look back through the year, I'm reminded of God's faithfulness. Last year we finished one month with TEN DOLLARS in the checking account, but at least it was ten in the black. Whew. In other news, why is fish so fishy? I'd much rather cook fish in the summer. 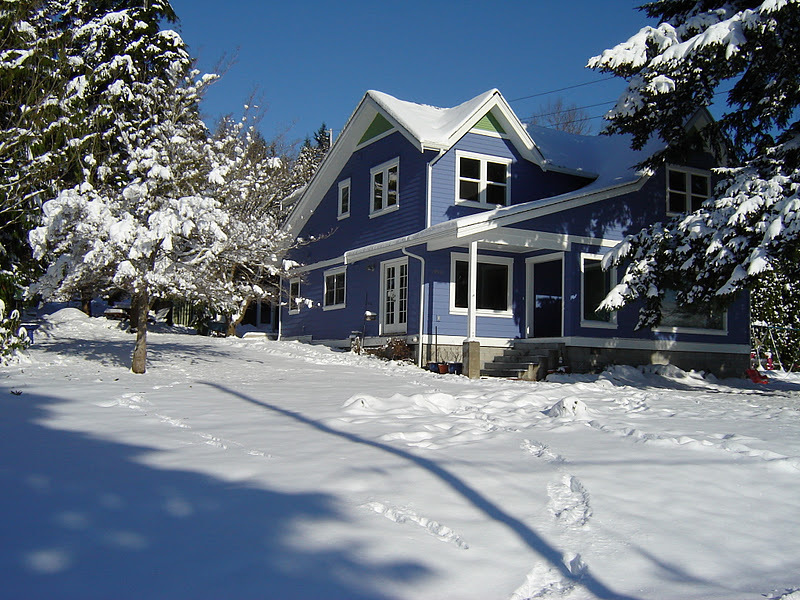 Outside. On the barbecue. Because the smell lingers. 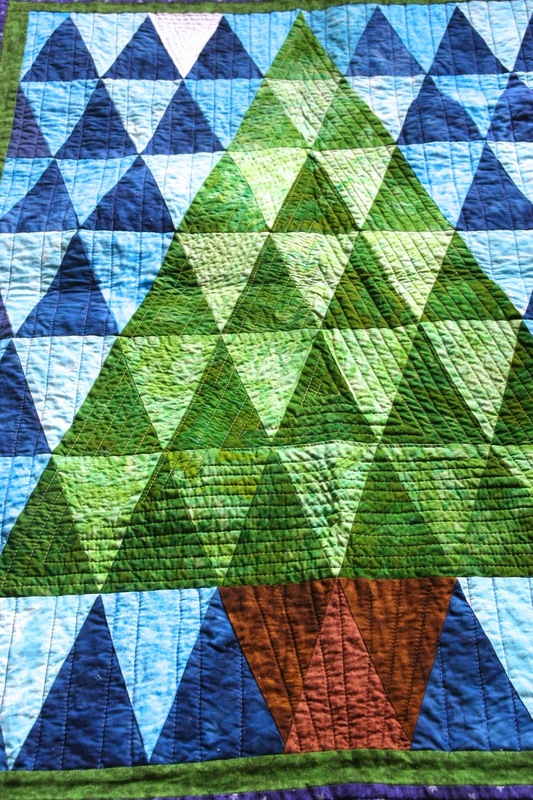 The quilt (above) was featured in Quilter's Newsletter's Best Christmas Quilts (2014 edition). 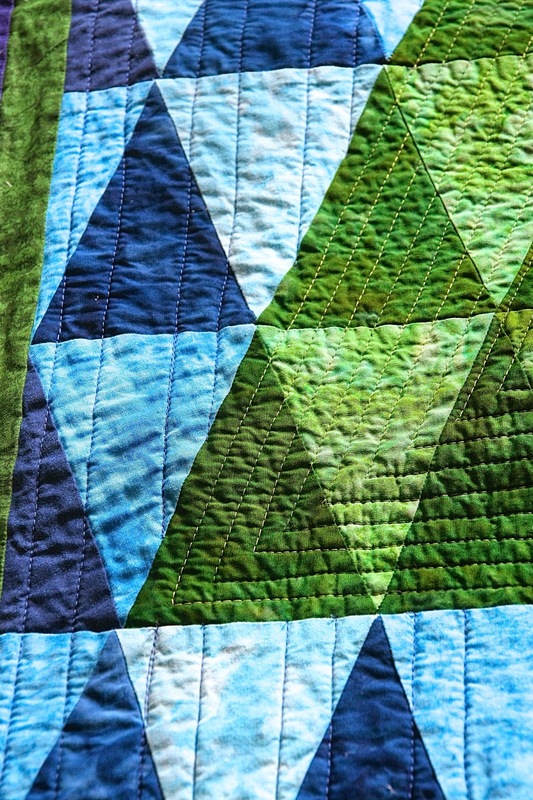 In fact, I made two quilts from that particular magazine. 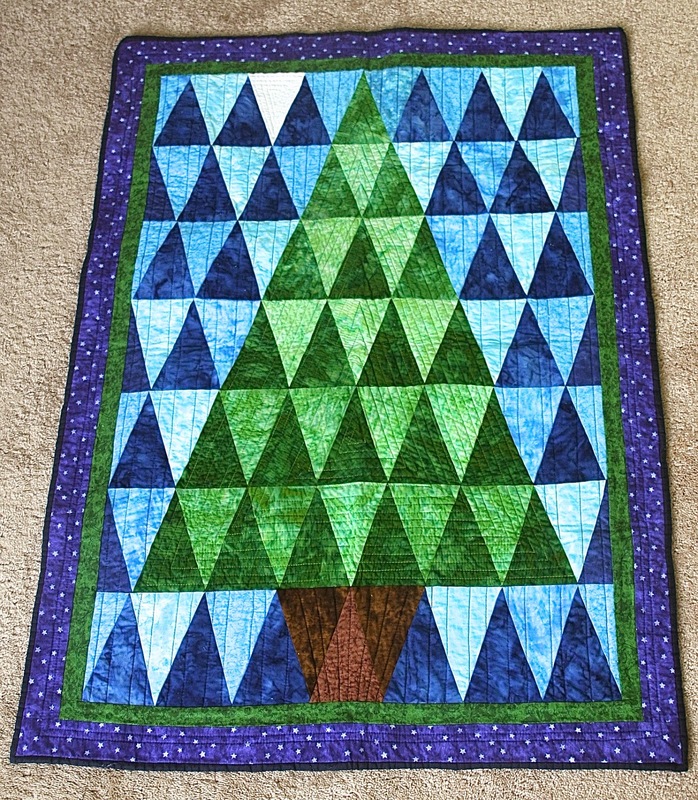 This tree quilt was going to be a gift for a friend. and I'm one of those very linear people. First, my head would explode. Second, I'd have more clutter than I already have, which is more than plenty. And third, I NEED the completion to enjoy the process. 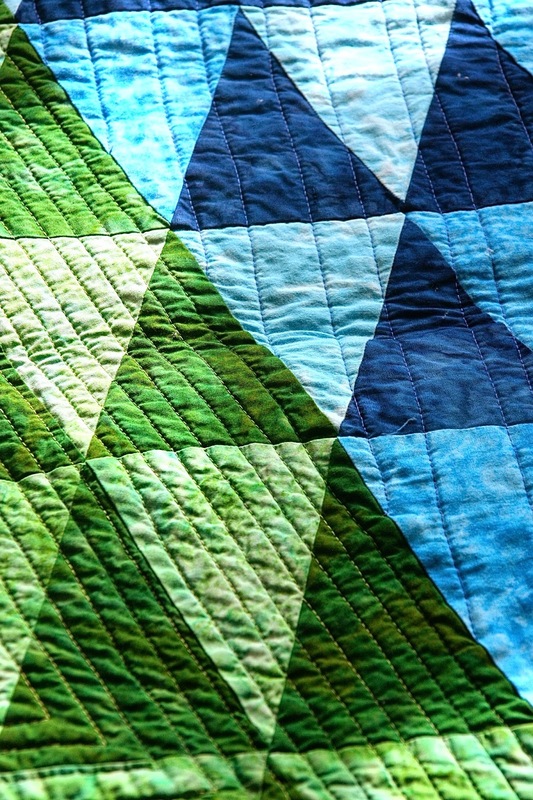 And this quilt was definitely a process. those crazy isosceles triangles nearly drove me to the Cliffs of Insanity. which would get swallowed up in seam allowance. So I had to trim a half-inch off Every. Single. Triangle. rather than quarter-inch, because my points met so far into the block. 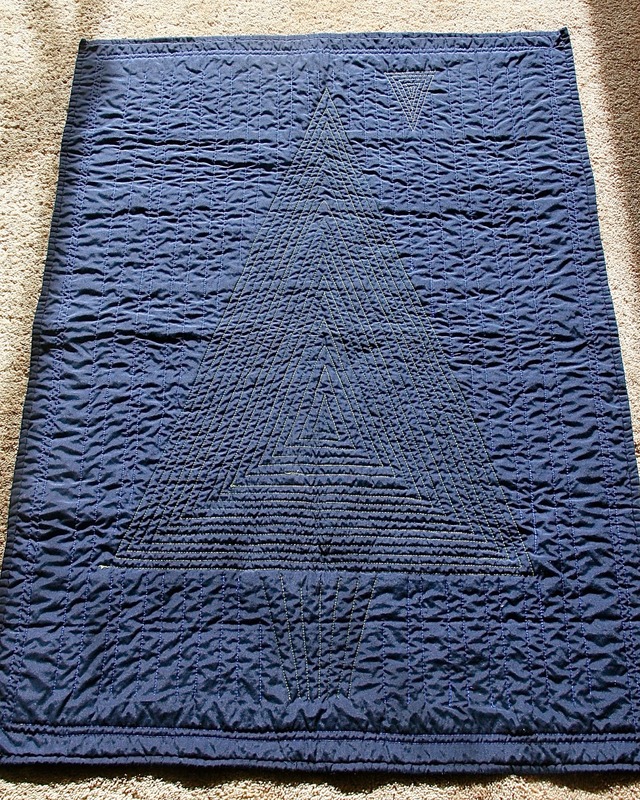 The learning curve conspired to make the quilt finish a bit smaller than I had anticipated. But FINE, I don't care about that. No more triangles for a looooong time! Outside my window... not quite sunny, but brighter than it's been for days. 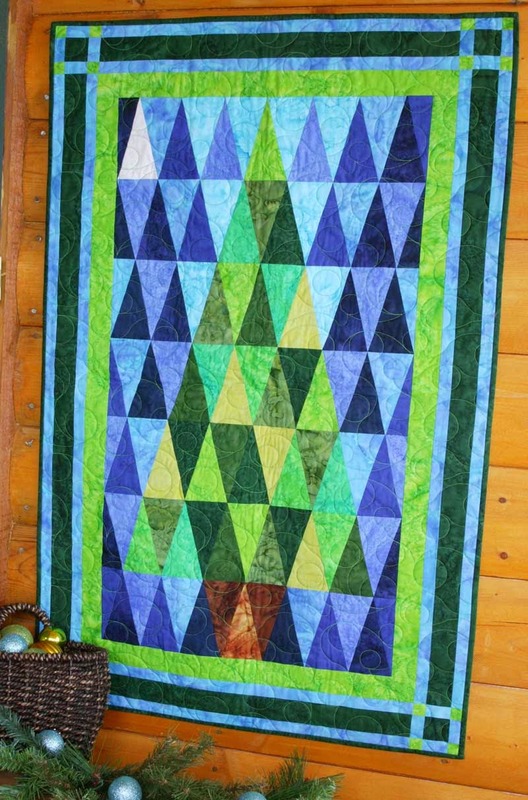 I should photograph my tree quilt while I have good light. 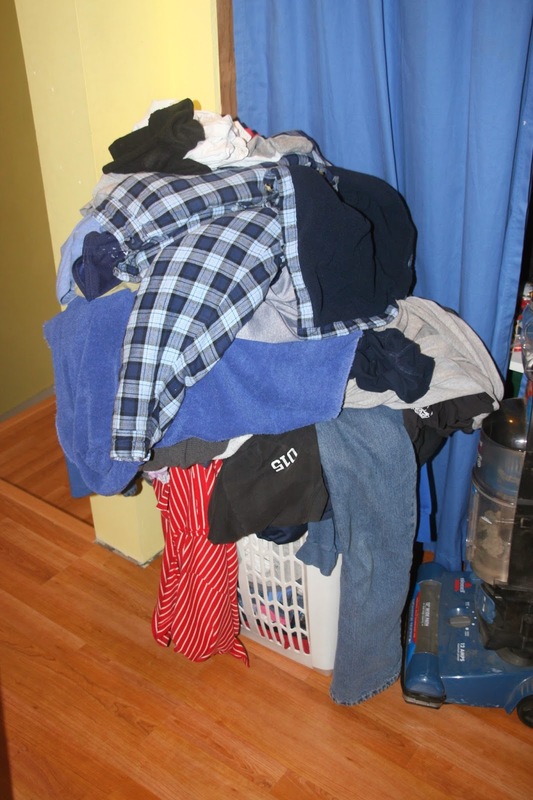 Hearing... Tate, practicing the piano ("I know a weenie man...") and the all-fixied dryer doing its thing. He's not out of work, I'd just like a bigger buffer. By which I mean ANY buffer. For all of us to diligently do the work we have. And an influx of food! First, another jug of peanut butter - free! Then another neighbor defrosting her freezer gave us some lunch meat. And another neighbor, who is drastically changing her diet, invited me to come take whatever I wanted that she had culled. I thought it might be junk food or lots of processed/prepared stuff, but it was mostly staples. I came home with four bags full of things like flour, sugar, wheat germ, potatoes, dried beans, vinegar, etc. Score! Creating... an uncluttered space. After sewing continuously from about September to January, (fabric explosion in my office), and then spending a few days making cards (paper, pens, etc) it's nice to have it all AWAY for awhile. Going... to plan my Sunday school lesson for next week. Or two. Reading... Mary Jo Sharp's Defending the Faith. Why women need apologetics. Amen. Looking forward to... using up all my new food-bounty! In the learning rooms... I think everyone is done for the day - maybe some reading left to do, but I assign that by the week and let the boys pace themselves. and a clear slate for the weekend... aaahhhhhhh! ... and making the bedroom cozy. Outside my window... cool, misty, rainy... Washington. It's nearly as tall as Gunnar. Pondering... The weekend. It was (mostly) fabulous, but I think I need a weekend to rest from my weekend! Do you ever feel like that? A friend from church invited some of us over to make cards (Valentine's Day approaching...) and I offered to bring something to contribute to lunch. She did most of the work, and I just contributed some fruit and dip, so no big deal, but Food Prep #1. Praying... work for Kerry - very much a need right now. And work for Wyatt - not such a dramatic need, but it would be nice! Thankful... expecting a check in the mail today or tomorrow which will cover us through this month and into the next. Hallelujah :D Thankful to have great friends and family to spend weekends with! Wearing... Um, you saw the photo above, right? Wearing old sweats - gray and navy blue. Creating... finishing off that quilt project I mentioned last week. All done but the binding, and then I'll post photos. Whew! Going... to stay home so the repairman can come. It's like waiting for Christmas, y'know? Looking forward to... we're planning a party for my parents' 50th Anniversary! In the kitchen... I think the boys finished off all the chili and other left-overs (yay!) so I may actually make a real dinner tonight. Maybe egg burritos - that just sounds good to me. Or taco salad. In the learning rooms... Tate is zooming through his year of World History. I love the way he puts it all together - that's one of his strengths. And he's doing well in Biology, though it isn't quite as second-nature to him. Gunnar is reading Great Expectations and I'd better get on the ball, because I said I'd read through it with him (simultaneously, not aloud) and I'm waaaaay behind! In math, he's doing ratios and proportions. And he's covering Westward Expansion in history, leading up to the Civil War. We had a very busy night at CAP this week! 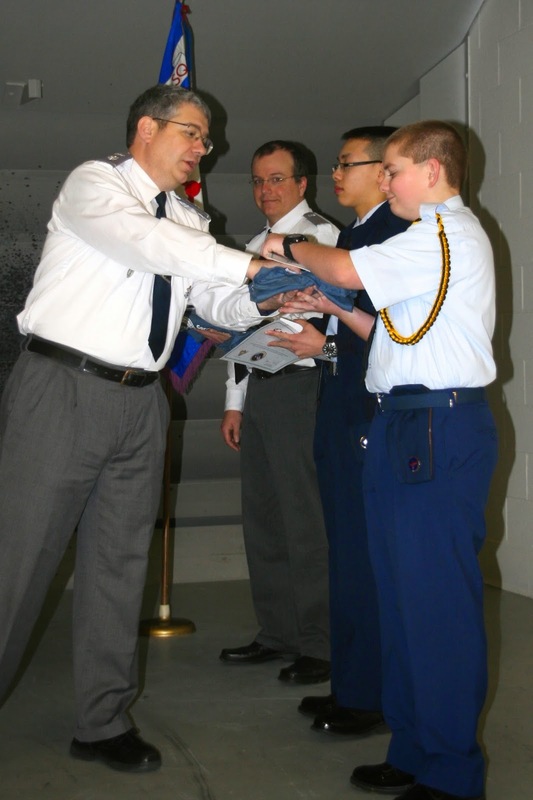 The first Tuesday of the month is "Commander's Call" - a time for recognizing achievements and promotions, and giving awards. 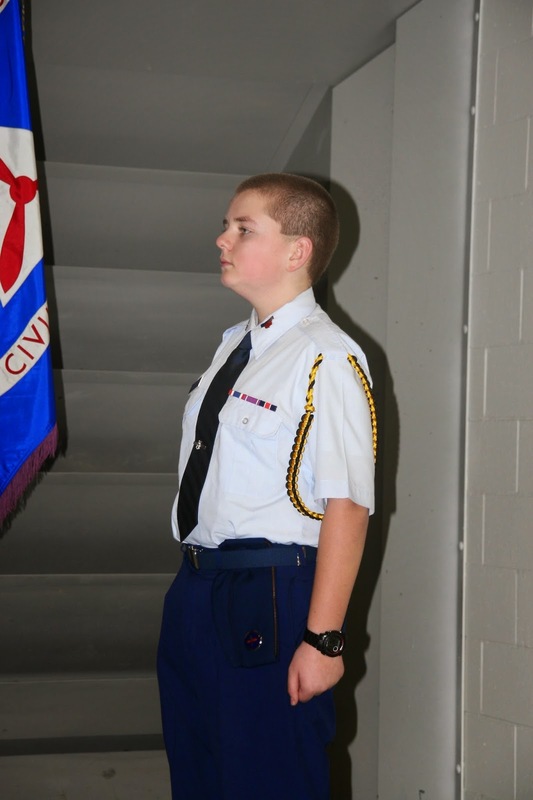 Gunnar was recognized along with the other "founding members" of the Cyper Patriot team. The teams have corporate sponsors, and you know what that means? T-shirt, pen, pin, certificate, sunglasses, computer mouse, and a challenge coin. 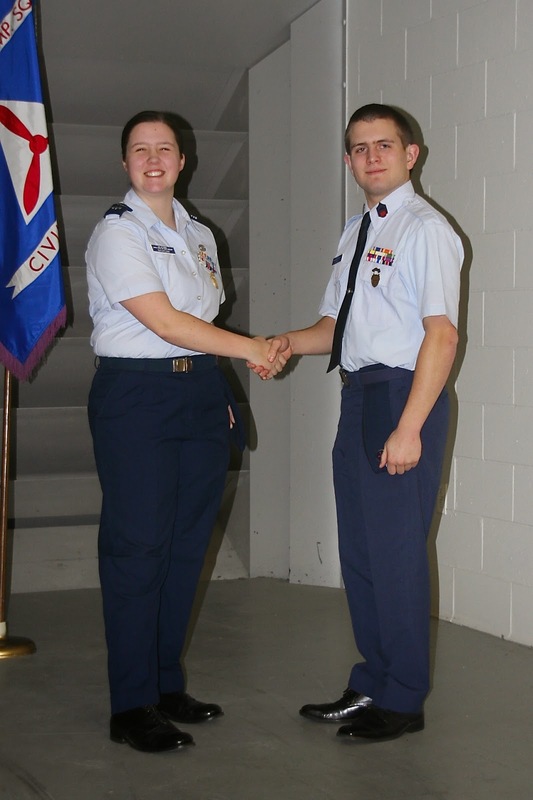 And then he was called up again to receive his promotion to Senior Airman. 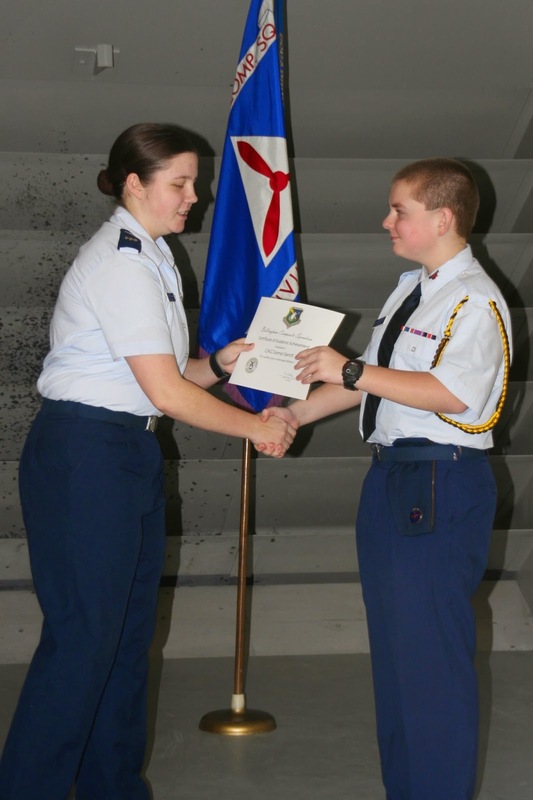 Tate also earned a promotion. Though he's still addressed as "Chief" (Chief Master Sergeant), he's just one step away from his Billy Mitchell award, and becoming a Second Lieutenant. They're definitely putting the pressure on Wyatt to pick up his pace! One of my favorite things... Gunnar and his sharp eyes found me the last package of milk chocolate and sea salt Lindor truffles at Walmart... I'm doling them out sparingly!